In fact, there are a lot of everyday bad habits that can lead to hair loss in addition to genetics, drug use, pregnancy and childbirth. If you are sick and tired of hair loss, please keep reading this post because below is a list of some common bad habits which are considered to be the main causes of hair loss. Tight ponytails, tight buns and tight braids may facilitate your activities, but they put excess pressure on your hair follicles. Consequently, hair loss will come as a result. Many women have the habit of washing their hair every day. This is a common mistake as frequent shampooing will strip your hair of its natural oils. As a result, they may have to suffer from not only hair loss but also oily hair or dry hair. The fact is that your hair is the most fragile when it is wet. Therefore, instead of combing your wet hair, be gentle to it by towel-drying. The heat from hot-styling tools may destroy the hair follicles. You should never turn the heat up too high when using a hairdryer and abuse hot rollers, curling and flat irons. The sun is known to be the enemy of not only our skin but also our hair. The exposure of your hair to UV rays will make it prone to falling out and breakage. However, many women only apply sunscreen on their skin while forgetting that their hair also needs to be protected from sunlight. As a matter of fact, your eating habits have certain effects to your hair’s health. For this reason, an unhealthy diet can be a reason for hair loss. High-fat foods are not conducive to hair growth. 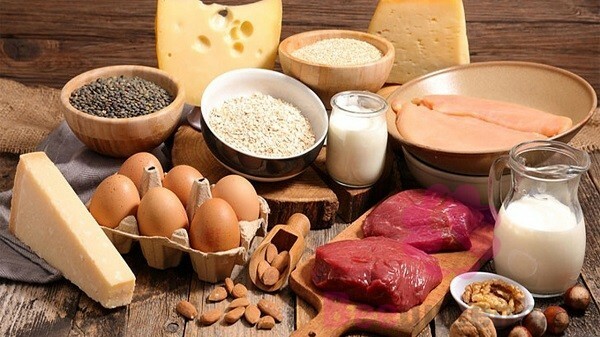 Instead, foods which are rich in protein, iron, zinc, vitamin B (such as milk, eggs, fish, salmon, nuts, soy, etc.) are highly recommended. Furthermore, according to many experts thinning hair seems to be popular among people who often rush out the door without breakfast in the morning. They explain that breakfast plays an extremely important role in fueling the body’s systems, including hair. This means that hair as well as other systems will not be fed if breakfast is skipped. In modern life, staying up late is considered to be one of the most common bad habits of almost all of us. Many researchers have shown that the period from 10 p.m. to 2 a.m. is the perfect time for hair to be recovered. Therefore, it is necessary for us to make sure that we enter deep sleep during that time. Recognizing what are the bad habits leading to hair loss can make you realize the importance of breaking them. We believe that this information can help you to feel like you are on cloud nine as you will get rid of hair loss soon. If you have any questions please contact us via the website https://vietnamhumanhairs.com/. Thank you very much. « HOW TO LIGHTEN YOUR HAIR NATURALLY?